Terri Matthews ranked on the Amazon best-seller list with the new book, What it Takes to Win, Co-authored with Brian Tracy. 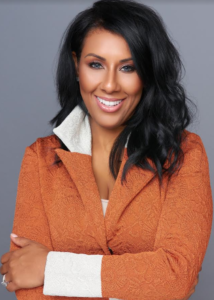 Philadelphia, PA– April 1, 2019: Motivational Speaker, Terri Matthews joined Brian Tracy, along with a select group of experts and professionals around the world to co-write the book, What it Takes to Win, The World’s Leading Entrepreneurs and Professionals Reveal Their Secrets to Winning in Business and Life. The book was published by CelebrityPress®, a leading business book publisher that publishes books from ThoughtLeaders® around the world and was released on March 8th, 2019. On the day of release, What it Takes to Win reached best-seller status on Amazon – reaching as high as #40 Direct Marketing. The expert information shared in Matthew’s chapter, Change Your Words and Change Your World has helped the book reach optimal best-seller placement and will help readers gain similar success in their endeavors. After such a successful release, Terri Matthews will be recognized by The National Academy of Best-Selling Authors®, an organization that honors authors from many of the leading independent best-seller lists. Terri Matthews is a Faith-Made serial entrepreneur, motivational speaker, Autism Advocate and TV host of an AU-Some show called, On the Spectrum, which covers all things Autism! As a businesswoman, Terri has established thriving organizations in the following industries: clothing, construction, healthcare, environmental, technology and consulting. She prides herself in building brands rooted in consciousness, community and empowerment. Beyond success in the corporate and entrepreneurial space, Terri’s passion is ignited most when helping others overcome obstacles in life and achieving their dreams. She motivates and educates from experience, using her own background and early challenges to bridge the gap between struggle and success with her Next Level Vision Series Platform. She has delivered keynotes to audiences from 300 to over 30,000 globally through panels, faith-based conferences, seminars, educational organizations, corporate gatherings and much more. Terri’s greatest inspiration comes from her children, Jahmee, Jream and Jaden, her husband, and most importantly, her faith. Her son, Jaden, now 12 years old was diagnosed with autism at the age of three. She dedicated tremendous amounts of time and money to ensure he received the most advanced therapies available and founded Jaden’s Voice, Inc. in 2009 to advocate and provide options to those with limited resources. Founder and Owner of Oculus Plastic Surgery and Specialty Surgery Center, Harvey “Chip” Cole, III, MD, FACS Gives An Overview Of Typical Recovery Times For Popular Surgeries.